The result for the Nanum Lotto 6/45 has got the country talking, because the six pairs of numbers - 14-15-18-21-26-35, have come up once in the past. But here's why it's causing such a fuss. The exact duplicate number combinations appeared in draw 64 AND draw 640... and these coincidences have got number theorists excited. The earlier draw had number 5 as bonus ball instead of 23 here, but that's the only way they differed. Koreans line up in Seoul to buy tickets for the Nanum lottery. 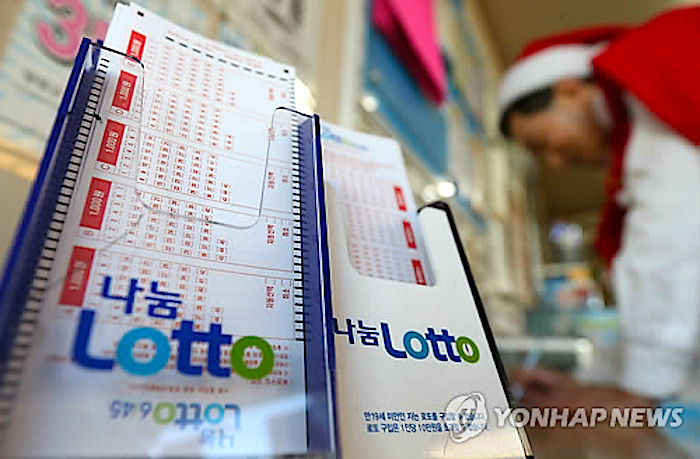 However, Nanum Lotto said the occurrence is due to sheer chance, since the probability for two winning results to have matching numbers for five pairs is 1.84 percent. That is fairly a high rate considering the odds of being struck by lightning in one’s lifetime in the USA are 0.033 percent, according to National Geographic News. Since Nanum Lotto started its operations in August 13, 2007, there have been three cases where two of the jackpot’s winning results had five matching numbers. On Sept. 11, 2002 (9/11/02), the New York State lottery numbers were 9, 11. In 2009 a 1-in-5.2 million shot came through in Bulgaria, when the same 6 winning numbers turned up in two consecutive drawings - 4, 15, 23, 24, 35 and 42. In 2010 the Israeli lottery (above) had drawn the same six numbers twice in a month. In France a player won exactly $4 million in the lottery twice, 15 years apart. The French twice-won is not rare: A player hit $3 million on two occasions in 1994 and 1997. Another pocketed 675,000 euro in 1992 and 7 million euro seven years later. In 1991, another player won 2 million Lotto Sports, and 9 million in Lotto in 2010. RELATED: Amazing Coincidences - But Can You Repeat Them To Win The Lottery?